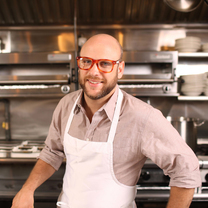 Daniel Holzman is the chef/co-owner of The Meatball Shop. He started his cooking career at the age of 15 at Le Bernardin in New York City and remained there for 4 years until, at the suggestion of chef Eric Ripert, he attended the Culinary Institute of America with a full scholarship from the James Beard Foundation. His culinary journey has led him through some of the country’s finest restaurants including Palladin, Napa, The Campton Place, Aqua, Jardinière and Axe. Daniel Holzman (of The Meatball Shop) recounts a tale of wedding catering gone bad. Like, really bad. Featuring: illustrations by Meryl Rowin, and animation by Derek Salvatore. "@atomixnyc my favorite of 12 unique and delicious tasting menu courses, each pushing the limits and each delicious." "Crispy crunchy soft shell tonight in NOLA celebrating the 125 anniversary @commanderspalace with so many of the folks I’ve looked up to for years and years." "I see your ugly / delicious and I raise you pure doodie on a gold plate"
"This is the best restaurant in NYC. sorry." "sardines, miso and palm ❤️"
"Fusilli with long cooked broccoli, fried breadcrumbs, pecorino and mint"
"Introducing the Ramlette - ramp + omelette"
"Galatoire Gouté. Crab remoulade, crawfish and shrimp maison, and oysters en brochette. #breakfastofchampions"
"Roast artichoke. Green garlic. Butter, lemon and mint. @meatballers"
"These meatballs are seriously delicious. Sometimes I go here several times a week. 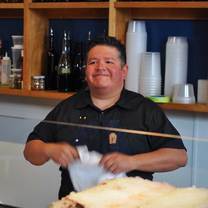 Editor's note: the meatballs also come in pork, chicken, veggie and daily special varieties."